The enneagram is a system that ordinary people, not psychologists, can use to understand personality types. It covers on how to spot the types, differentiate the wing look-alike and how to communicate with each type. It provides concise thumbnail sketches of each of the 9 enneagram psychological types. The type descriptions are followed by 2 especially useful sections: ways to distinguish between "lookalikes" across the 9 types on communication, both from the perspective of being a listener and a speaker, belonging to each type. 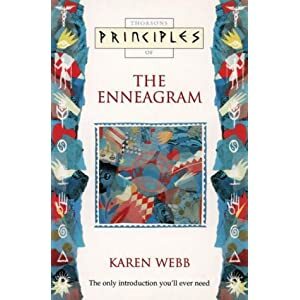 Webbs style follows the "oral tradition" of the enneagram; which also means that there is no "quiz" to determine your type; instead, you would need to read about each type and make your determination based on the descriptions. This book tells you what it takes 3 to 4 books to cover. It is written in a very concise manner with almost no repetition. The book concludes with a short opinion on "what to do next," along with a (somewhat UK-centric) resource directory. Karen Webb is an experienced enneagram teacher, councellor and workshop leader. Seeing below the surface: type which look alike. Communication: using the enneagra to create understanding. Conclusion: What do I do now?